Manchester United beat Swansea City 2-0 at Old Trafford to get a grip on the second place in the Premier League table. 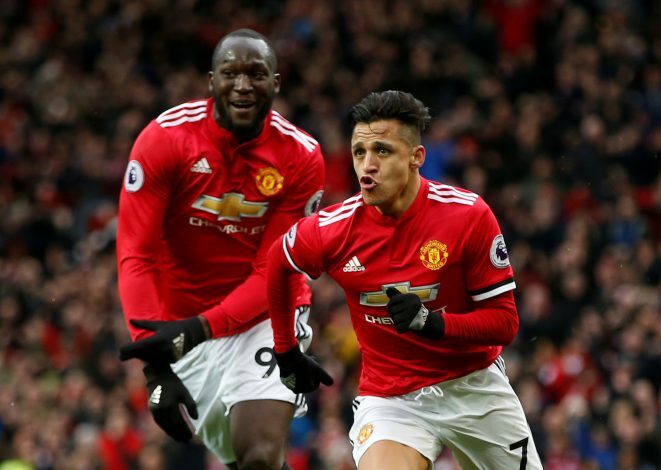 Alexis Sanchez scored one and set up another for Romelu Lukaku, as the Red Devils enjoyed a productive night with a show of positivity. Wasn’t troubled much in the game in the first half before two trademark saves in the second. A deserved clean sheet. Had a shape in his game, and covered his place well. One of his best United performances. Showed determination and made good interventions. Another decent performance by Smalling. He looked ensured alongside Lindelof. Was a lot busier down the left in defence as well as attack. Looked convincing, and a shoutout to England manager for a reserved berth in the World Cup. Looked composed in midfield and passed the ball well. Had one of his better games in the United shirt. Looked fresh and got into good spaces. Was influential in getting into good pockets and influencing the attack. Unlucky not to score. Set up Alexis Sanchez’s goal and linked up very well with his fellow forward players. A real solid performance from the Chilean. Set up Lukaku brilliantly before latching on to Lingard’s through ball to score one himself. Was the best player on the pitch. Scored an important goal besides being very confident on the ball. Looked lively after coming on as usual. Burst into space and created problems for Swansea. A return after injury for Herrera. He did fine in the midfield, and kept the shape. Did not have any major impact after coming on right at the 91st minute.